Hewitt’s thesis is simple: seven gifts - encouragement, energy, enthusiasm, empathy, good humor, graciousness, and gratitude - enrich those who receive them, and thereby produce happiness in those who give them. Every chapter in this book is full of examples from Hewitt’s own experiences and his observations about others, including guests on his radio show. And every chapter closes with a challenge to consider ways you can start giving these gifts to others. Here is a partial list of books I now want to read (or re-read): “Wild at Heart: Discovering the Secret of a Man's Soul” by John Eldredge; “Unbroken: A World War II Story of Survival, Resilience, and Redemption” by Laura Hillenbrand; “Mere Christianity” by C. S. Lewis; “The Last Lion” by William Manchester and Paul Reid (3-volume biography of Winston Churchill); “The Outpost: An Untold Story of American Valor” by Jake Tapper; “The Return of the Prodigal Son: A Story of Homecoming” by Henri Nouwen. And these books are from just the first half of the book. I especially appreciated the chapter on Encouragement. While reading that chapter I thought of a friend who is going through a rough patch in his career. Taking Hugh's advice, I decided I should encourage my friend. So I bought a card at Rite Aid and wrote him a note of encouragement. I found myself using a phrase Hugh recommends: "You are very good at what you do." I hope I brought encouragement my friend. This book is an absolute treasure. 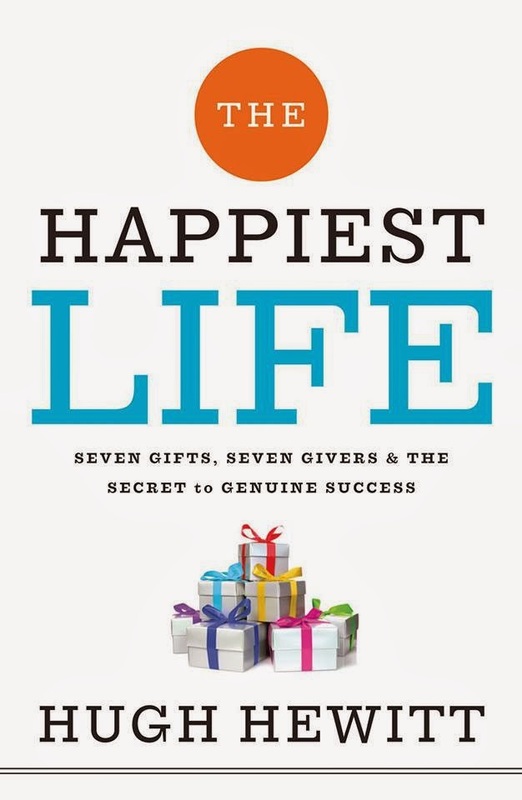 Everyone looking for graduation gifts or birthday gifts should have “The Happiest Life” at the top of their list. I will close by returning the point made at the beginning of this review, that if you are not happy you can be. Each chapter includes practical suggestions for people who want to live a happy life. Take Hugh’s advice and start with small steps. Say an encouraging word to the next clerk who rings up a sale for you. Devote extra energy and attention to the things that interest your spouse. Bring enthusiasm to your project at work and your church volunteer work. Be gracious. Acknowledge teachers and others who helped you along the way. Start giving these gifts to others and you will find yourself becoming happier. I received an advance copy of this book in exchange for an honest review. To order this book from Amazon, click the button below.